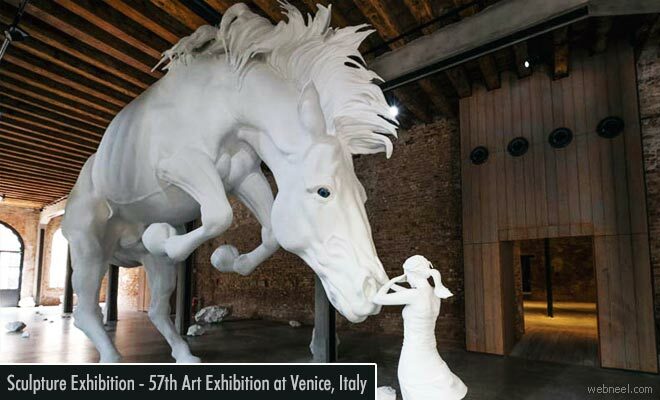 Viva Arte Viva - An art exhibition is open to the public from May 16 - November 26th 2017 at Venice, Italy. This event is held biennially and the deadline for receiving the artworks is closed for this year. This year more than 120 sculptors from 51 countries are participating in the art exhibition. Christine Macel is the curator and this year theme has been inspired by humanism. Each of the sculpture is a discovery or a rediscovery and it's more of a poetic dance which the artists have gone through to create their sculptures. Out of the 120 artists, 103 artists are participating here for the first time. According to the curator, Christine Macel, "Exhibition inspired by humanism - In this type of humanism, the artistic act is contemporaneously an act of resistance, of liberation and of generosity". The 2019 artist submission entries are not yet open, but you can keep checking in their website www.labiennale.org/en/art/submission/ for more information. Meanwhile, have a look at this year's Viva Arte Viva.